The Justice Department won’t approve AT&T’s plan to complete its $85 billion merger with Time Warner unless it agrees to sell one of the two companies' significant assets, according to a senior insider close to the deal. Earlier this week, according to the insider, Justice officials told top AT&T executives that previously discussed conditions around the merger, known as a consent decree, wouldn’t be sufficient to win a rubber stamp from the Trump administration without a sale. “It could be something as significant as all of Turner,” said the source, adding that the Justice Department hadn’t identified which unit must be sold. Turner Broadcasting includes CNN, HBO and the entertainment channels TNT and TBS, and accounts for half of Time Warner’s annual profits. Time Warner's other major unit is Warner Brothers, its film and TV studio. AT&T also owns the satellite system DirecTV, which it acquired in 2014. Reuters first reported that Justice may ask for a sale of either DirecTV or Turner, and reported that AT&T and Time Warner are considering legal action to preserve the merger and prevent a divestiture. AT&T issued a defiant statement in response to the demands. It's not clear what DOJ statement Stephenson was referring to. Stephenson may have had in mind a tweet from Brian Stelter, a media reporter at CNN, asserting that Justice has said AT&T had privately offered to sell CNN. But the department did not issue any official statement asking for any kind of sale. “The Department is committed to carrying out its duties in accordance with the laws and the facts," the department said in a statement. "Beyond that, the Department does not comment on any pending investigation." 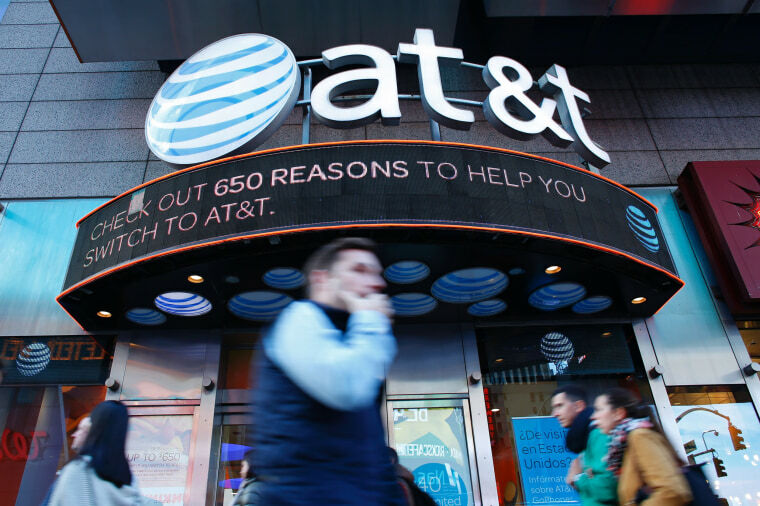 Earlier on Wednesday, AT&T’s chief financial officer, John Stephens, signaled a major problem to Wall Street when he said he could no longer say that the deal would be complete by year’s end as previously projected. “I can now say that the timing of the closing of the deal is now uncertain,” he told an investor conference. That news sent Time Warner’s stock down 5 percent. But the first sign of trouble came last week when The Wall Street Journal published a report saying the Justice Department was considering a lawsuit to block the deal. That news was viewed, by advisors on the deal, as a warning shot over negotiations. The Justice Department's new antitrust chief, Makan Delrahim, joined in September after being delayed by the Senate. He has previously said he didn't see any major issues with the proposed deal, raising the question of why he's so opposed to it now. As part of AT&T's proposed deal to acquire Time Warner, it agreed to pay Time Warner a $500 million fee if it couldn’t get the deal approved by regulators. If Time Warner decides to pull out of the AT&T deal and gets a better offer, it has to pay AT&T $1.73 billion.